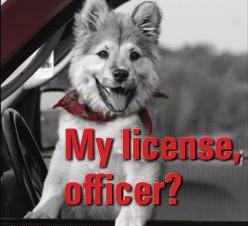 LOS ANGELES – Animal care and control field officers will be enforcing pet licensing and spay/neuter laws in the unincorporated areas of Agua Dulce (zip code 91390) beginning Sept. 26, authorities announced. “Field enforcement efforts are designed to ensure that residents’ dogs and cats are in compliance with mandatory licensing requirements, spay/neuter, and microchipping,” according to a news release from the Los Angeles County Department of Animal Care and Control (DACC). Dog and cat owners in unincorporated areas of Los Angeles County are required to license and microchip their pets. Dogs and cats must also be spayed or neutered, with some exemptions for competition, breeding and service dogs and pets with health problems. State law also requires that all dogs at least 4 months old be vaccinated against rabies. The county requires the same vaccination for cats. “Residents not in compliance will be subject to license fees, delinquency charges, and a $40 field enforcement fee (to offset the cost of the Department’s field services),” the news release states. The Department of Animal Care and Control offers low-cost vaccination and microchips and financial assistance for spay and neuter surgeries. More information and license applications can be found online at www.animalcare.lacounty.gov or at any county animal care center.